Sir Jeremy Heywood, Cabinet Secretary and Head of the Civil Service, writes about the Civil Service’s response to the outcome of the EU referendum, how it is drawing on its core values, adapting old ways of working and developing new ones at speed to meet the unprecedented demands of Brexit. In the referendum of 23 June 2016, a majority of the electorate voted for the UK to leave the European Union after 43 years as a member state. It is difficult to exaggerate the historical importance of this decision. At the same time, its full implications and impact on the political, economic and social life of the country and the UK’s role in the world will probably only become clear from the perspective of future decades. While the country and the wider world were absorbing the news and the changes at the top of government that soon followed, the Civil Service was already moving to implement the agenda of the new Prime Minister and the will of the people. To that extent, the mission and duty of the Civil Service has always been clear. However, even for an organisation used to reacting at speed to handle change, including the transition from one government to the next, the challenge of Brexit has few, if any, parallels in its complexity. Membership of the EU is embedded in the laws and institutions of the United Kingdom. Negotiating the terms of our withdrawal and disentangling four decades of EU laws and regulations from our statutes and wider regulatory frameworks, deciding what to keep and what to discard, will take time. That process will get fully under way only when the UK Government has activated Article 50, which the Prime Minister has indicated will happen no later than the end of March 2017. Before that, there is much to be done. In fact, contrary to some reports, preparatory work began before referendum day. Civil Service activity during the lead-up to the referendum and the purdah period itself presented challenges of its own: to carry on business as usual and reflect the position of the government of the day on EU membership, while doing whatever useful preparatory work we could against the possibility that the referendum outcome went against the Government’s position. The question has still been asked: “What was the Civil Service doing before the referendum? Where is the Brexit plan?” This shows little appreciation of the constitutional and propriety framework in which we operate, not to mention the practical difficulty of producing a comprehensive plan for such a multi-faceted proposition as Brexit. Within these constraints, we used the time available to do important work. To be ready to act on the Government’s direction we wanted to understand the possible alternatives to EU membership, such as the requirements for membership of the European Free Trade Association; the sort of trade agreements reached by other countries outside the EU; what Brexit might mean for the economy; and the organisational implications of a ‘no’ vote, including the need to create an international trade department. This background analysis is now proving its worth. The challenge of carrying on our day-to-day business is, if anything, even greater, given the huge scale of the transformation set in train by the referendum result and the resources that will be focused on exiting the EU. ...when the British people voted to leave the EU, they did not vote to turn inwards or walk away from any of our partners in the world. Navigating our exit from the EU - with all its legal, constitutional and organisational hurdles - and forging new trading relationships around the world, will involve virtually every department (some more than others, naturally), and thousands of civil servants. The central imperatives of this commitment are having the right capability in the right place at the right time, and collaboration across departmental boundaries. We have already shown what can be achieved by working together to create the departments for Exiting the European Union (DExEU) and International Trade (DIT) from a standing start. The formation of DExEU, in particular, covering a completely new policy area, is unprecedented in our peacetime history. Once the result of the referendum was known, we moved quickly to analyse the many dimensions of Brexit: legal, negotiating, economic, security, and so on, and to marshal our resources. Despite the sceptics asking, “How are you going to attract the talent you need?”, I am hugely encouraged by the large number of enthusiastic civil servants who have queued up to join the two new departments. They clearly see opportunity as well as challenge. The new leadership at DExEU, under its Permanent Secretary Oliver Robbins, did a thorough piece of work in July to establish the core structure of the department and fill its senior posts. They received around 250 applications for the seven director and 20 or so deputy director level posts. In all, they have recruited 250 members of staff so far, and expect this to rise to 400 by the end of the year. To determine the structure and size of the whole department, they worked through options in their operating model and the capacity and skills needed to support it. This took into account the need to be flexible and shape the department to fit its emerging role. In part, this has involved drawing on pre-existing knowledge and capacity within government. The European and Global Issues Secretariat (EGIS), the FCO’s Europe Directorate and the UK’s Permanent Representation to the EU have all been built into the department, and staff with specific expertise are being recruited from across Whitehall. DExEU is collaborating with departments to ensure they have the capacity that they will need as Britain leaves the EU. I welcome the way, for example, the Government Legal Department (GLD) has set up an expert legal team, DExEU Legal Advisers, to support the new department. This is based around the existing European Law Group, expanded by a team transferring from FCO Legal Advisers. The DExEU team is also working closely with GLD’s other legal teams. To date, across government, DExEU has received expressions of interest from 168 organisations and 894 individuals offering support. They are working through the applications and considering how best to use this pool of talent. 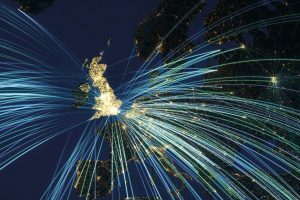 The new Department for International Trade, under its Permanent Secretary Martin Donnelly, combines three previously existing bodies – UK Trade & Investment (UKTI), the BIS Trade Policy Directorate and UK Export Finance. So, it has a strong trade policy nucleus to build on, as well as detailed knowledge of UK export sectors and overseas markets. DIT will develop and deliver the UK’s broader trade and investment policy. This includes preparing for the negotiation of the UK’s position within the World Trade Organisation and market access deals with non-EU countries. As with DExEU, DIT will need different mixes of skills and operational focus at different points during the exit negotiations. The first and immediate need is policy development, scoping out the necessary resource for negotiating trade agreements, and setting organisational design and strategy. The focus will then shift to the skills needed to negotiate free-trade agreements and other trade deals for the UK outside the EU. One consequence of our decades-long EU membership is that we are short of certain specialist personnel and skills for tasks that will be central to Brexit and our future international relationships, such as trade negotiations. These roles were filled centrally by officials from across the EU. Recognising this, we have opened ourselves to approaches from external consultancies, accountancy firms, project management specialists, and many individuals. This highlights a key challenge of creating a department and recruiting to meet changing operational and capability demands. Namely, to balance identifying the external expertise and personnel you need, with deciding when to deploy them. We can bring in some useful expertise to manage work flow but there is no point in hiring expensive talent, to assist with particular trade negotiations for example, until that process is actually beginning. A joined-up approach was crucial to building the new departments. Early on, Cabinet Office marshalled the cross-government functions (Technology, Commercial, Digital, Finance, HR, Legal, and so on) to provide professional support. DExEU benefited from a cross- government effort on sectoral analysis. At the same time, all the existing departments are equipping themselves with the staff and know-how to support the new ones, creating their own EU exit capacity and responding quickly to demands from the centre. The Department for Transport, for example, is setting up its own dedicated international trade team. DExEU is also sharing some key services (such as commercial) with other departments, rather than creating its own. We are also taking every opportunity to involve our colleagues in the devolved administrations in discussions on the UK-wide implications of Brexit, and to ensure that civil servants in all parts of the country are properly prepared. The Joint Ministerial Council meeting on 24 October was just such an opportunity, and these talks will continue. Before Brexit, the Civil Service was making measured progress towards a more unified way of working. It was becoming more efficient in its use of shared resources, strengthening the cross-government functions, and starting to make it easier for people to move between the public and private sectors, so it can benefit from a broader mix of experience, skills and outlook. We were probably in second, possibly third gear. The demands of Brexit are showing we can go up a gear or two. The way in which DExEU and DIT are acting as hubs for Brexit activity, radiating connections, generating and joining up activity in other departments, forging mutually supportive relationships, is a model for other areas of work: lead departments drawing expertise and knowledge from other departments and agencies and working together to tackle specific issues. This is an example of how we should be working as a Civil Service. It also encapsulates the historic opportunity of Brexit: to demonstrate under the most critical scrutiny our ability to adapt and change at pace, to accelerate change, lowering the barriers between departments, while drawing on the enduring values of the service to put government policy into effective action and deliver better outcomes for the public. Yet again a senior Whitehall functionary - no less a one than the cabinet secretary - persists in viewing challenging policy problems through yesterday's conventional wisdom lenses. He has no idea that its legacy may both no longer work and could well be positively toxic. He exhibits ill-informed complacency by believing that things are now well under control and that present plans will work well. The reasons he cites for his confidence that all is well with his world are neither systemic nor strategic. How can members of the current neutral system possibly create original strategies that wrong-foot competitors' thinking, in what look like being lengthy, hostile and punitive negotiations? They are not complex as they do not involve difficult or ambiguous concepts. But they are massively detailed and will require the discovery, compilation and analysis of a wide variety of disparate factors. This is not work that ministers can do as there is just too much of it. The civil service must therefore lead, strategise, envision, create game plans and win over rival negotiators if the deals are to help future UK trade. Why do I think he and indeed they cannot do this well? Concisely put, it is because we neither have a systemic nor a strategic meritocracy running our governance. Previously, both Brexit and Chilcot have demonstrated that bad Governance can lead to national humiliation. But it is noteworthy that the country's humiliation was NOT caused by the country's citizens at large, but resulted from the flawed operation of a system of government that was presumed to be highly effective, if not superior. There are in essence just two arms of day to day central government, which make up the heart, brain and spirit of that governing system and embody its currently creaking ethos and values; Westminster and Whitehall. We need a diverse, multi-disciplinary and specialist Royal Commission to analyse the forces that led Whitehall to make the constitutionally bankrupt errors of not exerting its fundamental moral purposes of honesty, integrity and objectivity, in the case of both Brexit and Iraq. I interpret a modern governing system's primary constitutional purpose as ensuring the meritocratic - and thus efficient, effective, systemic, coherent and integrated - execution of governance, in spite of politically motivated - and thus often non-objective - ministerial diktat. So our national humiliation was caused by Whitehall's shortcomings - as represented by both cabinet ministers and civil servants - in tandem with a broken civil service ethos and operating culture. Many other factors contributed to showing up our nation, but a legacy of impaired governance is the key to the failures. It is time we learned the lesson that, without deploying both systemic and eco-systemic meritocracies and their requisite skills and talents, the governing system that impacts all our lives is dysfunctional. Ministers, both by their nature and background, have little conception of organisational, cultural, strategic and meta-systems leadership; it is to the continued shaming of the Cabinet Office that neither have they, as judged by results. It is time to change the system and the way it trains and motivates itself to stay ahead of the game. The present Civil Service Leadership might start by defining its responsibilities to citizens, rather than rambling on dogmatically about its own values, neutrality and traditions. They have clearly lost touch with present and future practical realities, let alone essential strategic leadership capabilities. Government is an intellectual abstraction that, to function well, must identify, learn and leverage the appropriate highest order visionary, conceptual, knowledge-building, problem-solving and creative skills; so as to cause ideal and informed progressive practice when it is most required; not, after a major setback has occurred. That is the basis for radical constitutional, moral and operational reform of our malformed and now imperfect governing system. Will no political party set the system to rights and commission a redesigned governing system that allows for emergence, or do we need a new institution, or political paradigm, or major disaster to set the ball rolling? But what does Brexit mean? It wasnt the majority of the electorate, just the majority of the people who voted, and it was just advisory. Dont do anything until parliment approves. What I am predominantly interested in is: What will happen to members of staff, who are not British Citizens? I am German born and raised, and I work for the Civil Sevice under my German nationality. Will this remain? Will I have to assume British Citizenship? Will I lose my job? I would be grateful if someone could elaborate on this. As it stands, I am unable to make any plans for my future. "In the referendum of 23 June 2016, a majority of the electorate voted for the UK to leave the European Union after 43 years as a member state." The electorate includes everyone who is eligible to vote. The majority of those who voted chose to leave but that is not the same thing as the majority of the electorate. Approximately 37% of the electorate voted to leave. Your opening statement is incorrect. Not all of the electorate voted, therefore it is incorrect to say "a majority of the electorate" when the turnout was 72.2%. The correct statement is "37.5% of the electorate". Astonishingly the very first sentence of this Blog- "In the referendum of 23 June 2016, a majority of the electorate voted for the UK to leave the European Union after 43 years as a member state"- is incorrect and misleading. The simple fact is that 37.44% of the electorate voted for the UK to leave the European Union. It is worrying that such a basic but significant misstatement of fact is made here. Doesn't the Civil Service Code make it clear that we serve the Crown (i.e. Parliament) rather than just the Prime minister and 'the people'? According to the Electoral Commission website, the referendum had a turnout of 72.2%. I calculate that as something like 37.5% of the electorate voting for the UK to leave the EU. Excellent post. In 1993 when the UK joined the Single Market we were just as unprepared . I was then a Civil Servant with the role of Single Market Advisor for a certain region of the UK. My role was to set up seminars for all of the Major Importers and Exporters based in that Region. I recall that most Businesses I visited were concerned at the changes that I had to detail to them. They had many questions around the taxation implications and import Export procedural changes and many thought that the changes would be detrimental to their business operations at the outset . At the time my understanding was that Member States Finance Ministers could not agree on Tax Harmonisation rates and so at the last minute The 6th directive was born. This implemented the Zero Rating currently enjoyed by Intra EU movements of goods (and which was and still is enjoyed by all companies who currently export goods to countries outside the EU.) This was supposedly a Temporary fix which was termed ' the Transitional period ' a period which until now remains extant.. However UK businesses had no choice but to get on with it and over the last 23 years we have all seen the benefits of a positive approach .